Young Justice Season 3 – Young Justice: Outsiders – is set to be one of the more premium flagship shows set to put the DC Universe on a positive expansion. 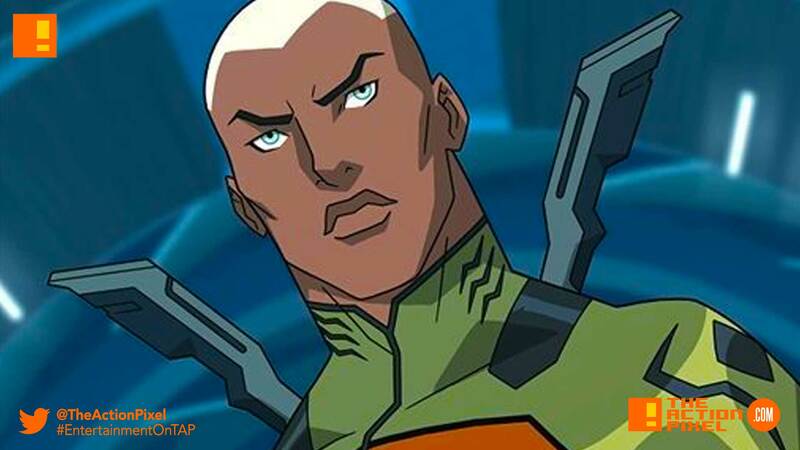 Now a new image comes promoting the new season, and to draw some parallel synergy to DC’s cinematic efforts, it involves the leader of the seven seas. The image is of Aquaman. The new Aquaman. More specifically than that, Aqualad has bossed up in the world. The mantle of the aquatic hero has been bestowed and deservedly earned by the young. What’s great about those characters is they’re young characters who are now growing up in a world that is formed from our first two seasons. We really had a heck of an arc through our first two seasons. We explored how society viewed heroes, and how aliens came to Earth to harvest the metagene that powers many of the superheroes and villains. When we came back to start our third season, we were looking at this world we’ve created and watched grow through the first two seasons and we’re like, ‘Wow, this is a really scary Earth. What must it be like to grow up on this scary place that we’ve built up through two seasons?’ We decided to tell that story that through this new young group of characters who are growing up in this crazy, scary world, and they don’t know if they want to be heroes, they don’t know if they want to be villains, they’re very much finding out who they are. They’re not part of a superhero establishment like our Season 1 and 2 characters were. They’re figuring out their own way in the world.